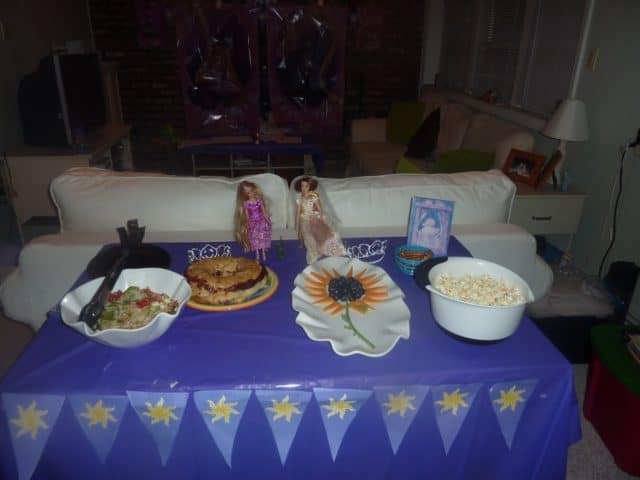 One of the ways we like to bring a little Disney magic into our home is by having “Disney Theme Nights.” We started doing this last year as a lead up to our Disney trip, and they quickly became a family favorite. 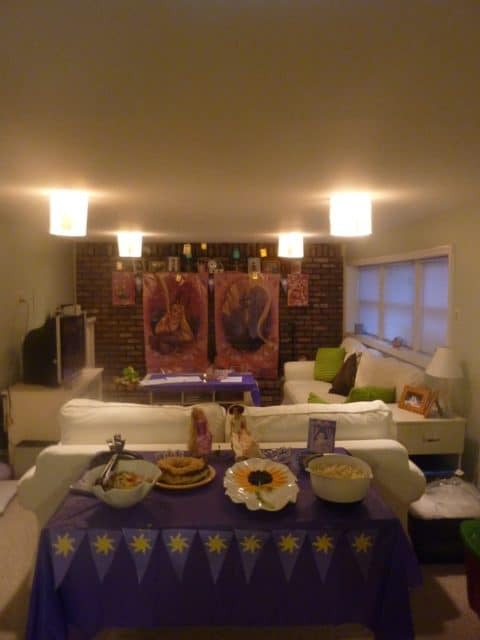 A Disney Theme Night is a night at home that revolves around an element of Disney. This could be a movie, a park, a character, whatever you like. 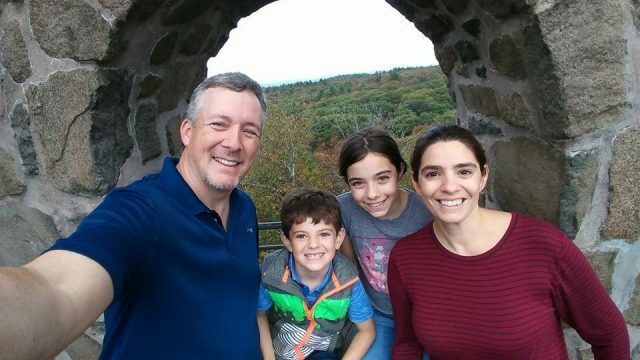 The idea is to take that element and then use it as inspiration for an entire night of quality time with the whole family. 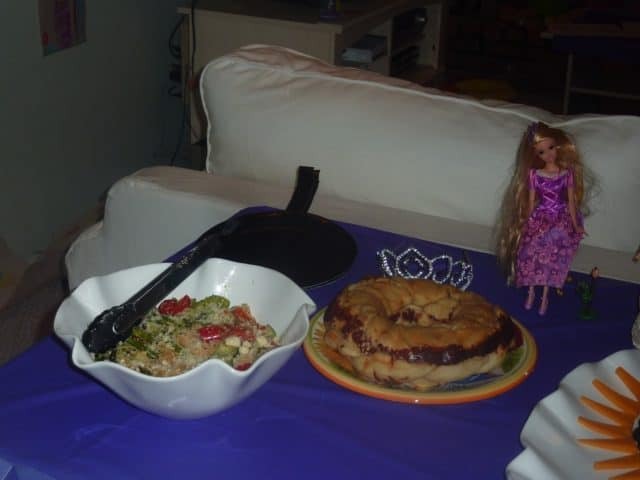 Using the movie Tangled as inspiration, we created a fun and festive movie night. 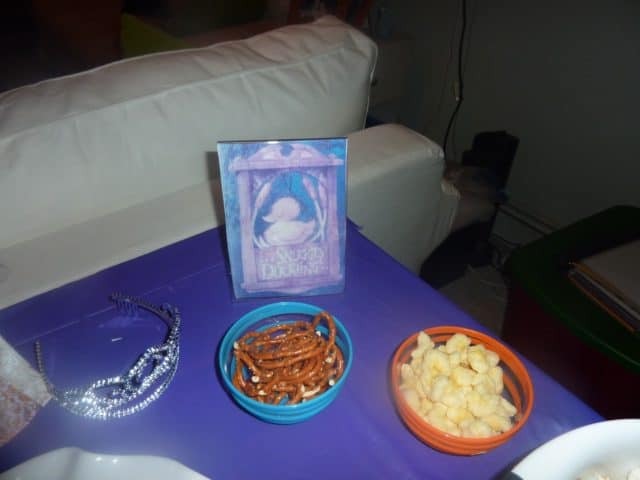 We had fun coming up with a character inspired menu, decorating our party space and making some “Tangled” themed crafts. We splurged on a few items from Party City to help decorate our family room for the occasion. To replicate the floating lanterns, we made paper cylinders and put them over the recessed lights on our ceiling. We added smaller lanterns by suspending battery operated tea lights from the ceiling, also wrapped in a piece of paper. For the Golden Braided Garlic Bread I used a variation of this garlic knot recipe. Instead of cutting and rolling the dough into 1” balls, we divided the dough in half, then divided each half into three long strips. After that, we braided each section. We put one braid into the bundt pan and poured half of the butter/garlic mixture on top. Then we placed the other braid on top and pour the rest of the mixture over the dough. 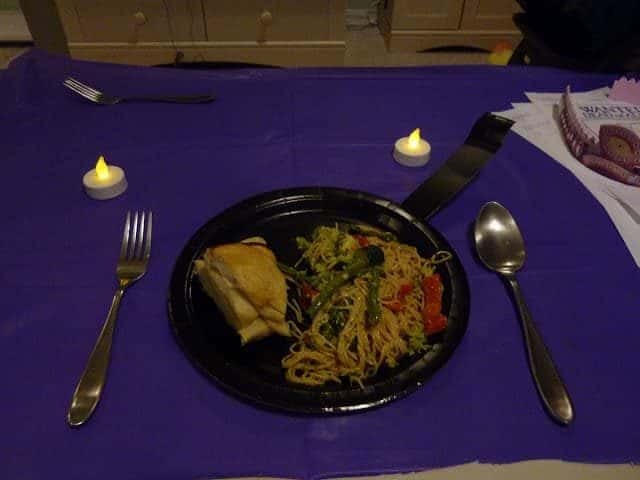 We used this recipe as inspiration for Rapunzel’s Angel Hair Pasta Primavera. We omitted the tomatoes and replaced them with 1 red pepper. 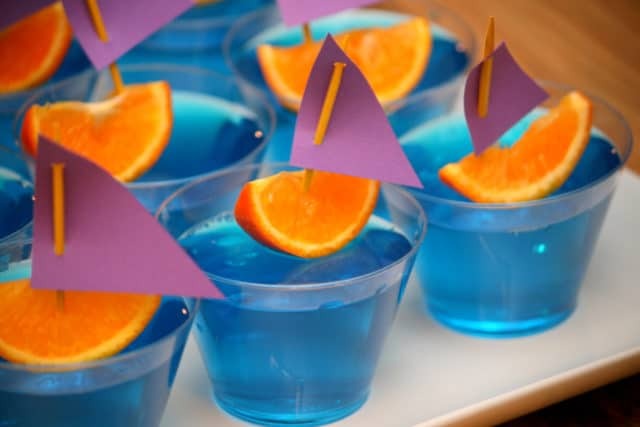 Unfortunately, our jello didn’t set in time, and we had to improvise and eat our boats without. 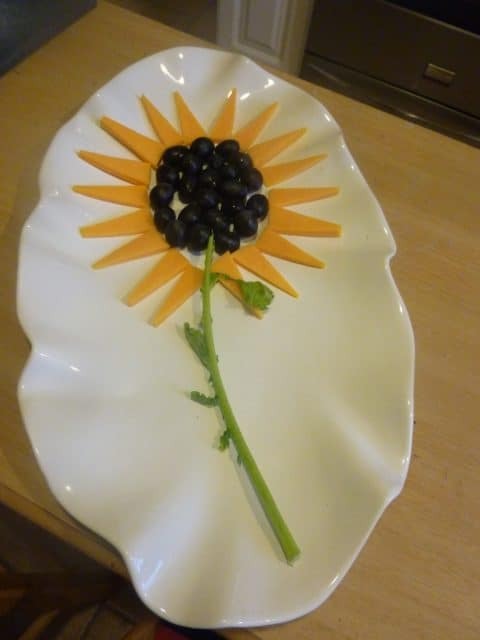 We also had some snacks for munching on while we watched the movie. Pretzels, Popcorn, and Pirate’s Booty. We ate all these goodies off our very own Frying Pan Plates. 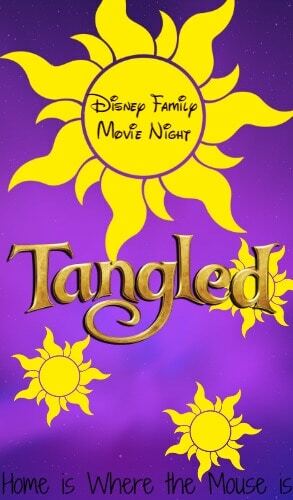 To go along with the movie, we did some Tangled activity pages from the Disney Family website. 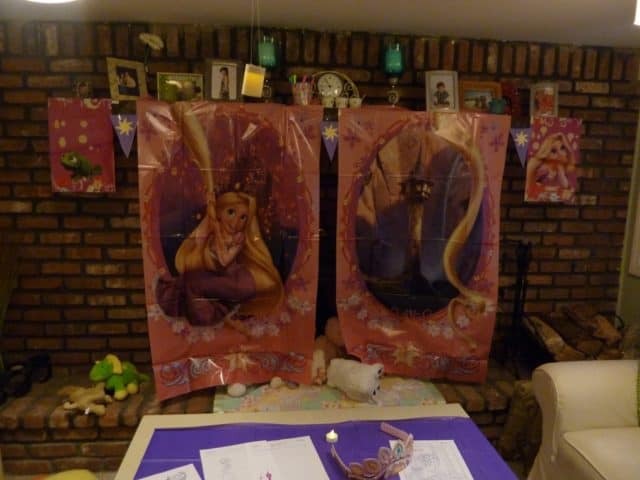 Originally, I wanted to use the Flynn Rider wanted poster to play pin the nose on Flynn, but we ran out of time. We also played a game of Get Tangled Up. Using a roll of yellow crepe paper, we saw just how tangled up we could make each other. It was a lot of fun! At the end of the night, we picked out our next theme from a bucket where we had placed pieces of paper with various movies and other inspirations…. Our next theme night will be themed around Disney’s Animal Kingdom!! So, tell us… What will you use as your inspiration for a fun Disney Theme Night with your family?